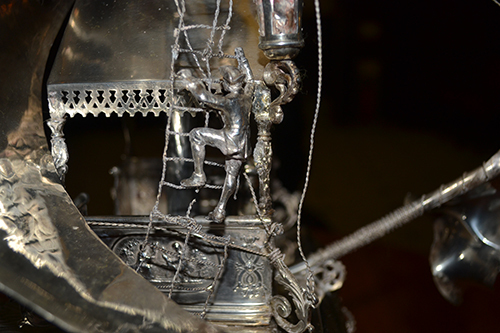 Exclusively for the Biennial, Liverpool Town Hall is giving visitors access to parts of its silver collection. The eclectic collection of the silver gifts that the city has received over the centuries takes viewers on a journey into Liverpool’s historical past. Please be aware that there is a limited capacity. Part of Worlds within worlds, a strand of Liverpool Biennial 2018 inviting audiences to explore the rich histories and stories evoked by objects and artefacts from the city’s civic collections and architecture. Previous articleExchange Flags: Liverpool Biennial 2018: Beautiful World Where Are You?